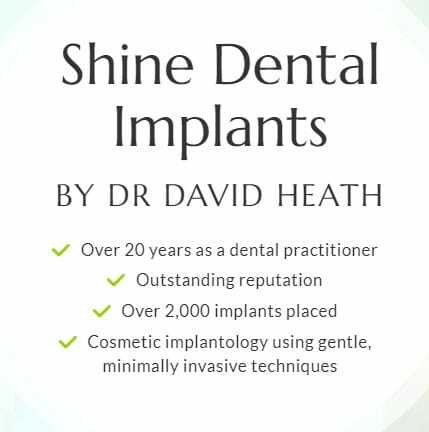 At Shine Dental Care, our implant dentists have decades of experience and use the very latest implant systems and innovations right at our Mansfield clinic. Why do new patients travel half an hour to see us? Shine Dental Care specialises in dental implants. 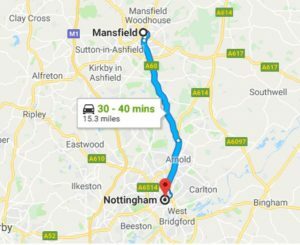 Our cosmetic dental clinic has patients across Nottinghamshire and South Yorkshire. Our professionally high-level of dental care and the technology we use for our dental implants is what makes Shine Dental Care incredibly popular. Can I have implants? One of the reasons patients travel to Shine from Yorkshire is that we have a reputation for complete transparency. If we do not think you are a perfect fit for implants we will say. We assess all patients for suitability before undergoing any treatment. Does it hurt? Somewhat. A dental implant is a process where artificial materials are fused with bone. 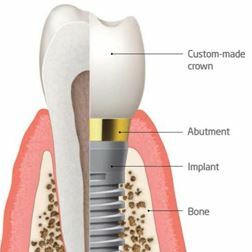 There are three parts: a small titanium screw that is inserted into and fuses with the jawbone, an “abutment” or post which attaches to the implant, and a crown (in the case of one implant) that fits over the post to provide a natural looking tooth. It is the initial small screw that can cause patients some discomfort. More. Single implant, bridge or full arch: Shine Dental offer the complete range of implants and have the experience and knowledge to select the right option for you. For patients looking to swap dentures for full arch implants, this is fast becoming a very popular alternative. Read More.